The origins of what was to become the Welsh Highland Railway (WHR) can be traced back to a number of narrow gauge railway developments: the Nantlle Tramway, the Croesor Tramway, the Portmadoc, Beddgelert & South Snowdon Railway (PBSSR) and, perhaps the best known, the North Wales Narrow Gauge Railways (NWNGR). The Nantlle horse-drawn railway was opened in 1828 with a nominal gauge of 3ft 6in, and wagons with double-flanged wheels, to connect the slate quarries at Nantlle with Caernarfon, a distance of about eight miles. It was converted into a standard gauge railway in the 1860s (albeit on a slightly different alignment) by the Caernarvonshire Railway as part of their route to Afon Wen, leaving the Nantlle Tramway shortened to serve a new trans-shipment point at Talysarn until the 1960s when it finally closed. 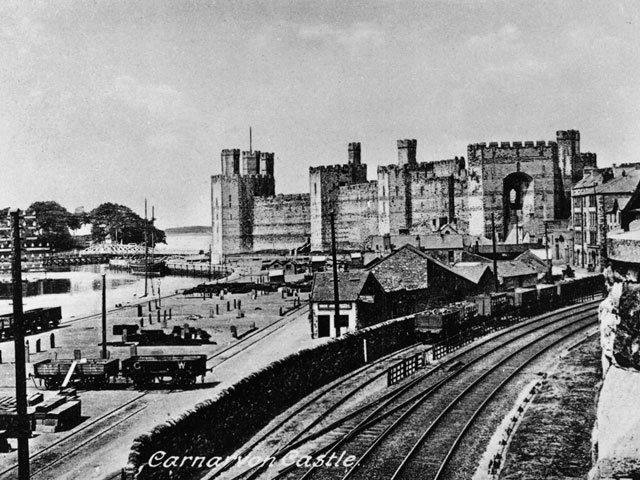 The WHR didn't reach Caernarfon, despite many attempts starting back in 1885, until 1997 as the first phase of the revival. Fragments of the old Nantlle Tramway route between Dinas and Caernarfon, including a bridge and two tunnels, still survive, well over 100 years after the route was abandoned. The Croesor tramway was built in 1864 and also consisted of a horse-drawn tramway on iron rails but at 2ft gauge. 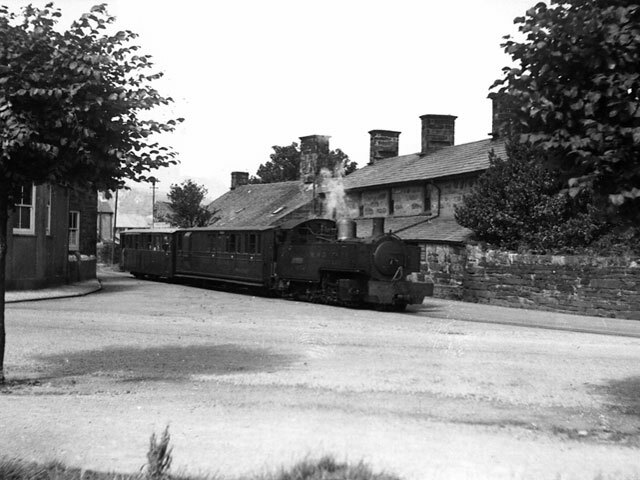 It carried slate from the quarries at Croesor to Portmadoc (now Porthmadog). 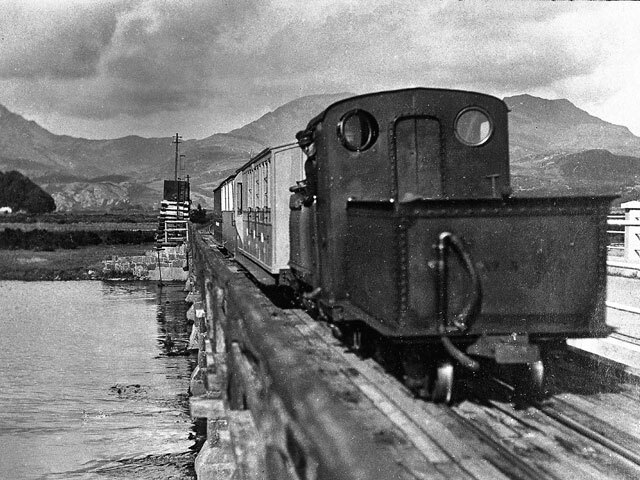 Later, the Cambrian Railway was to cross the Croesor route on the level and this would later become a factor in the declining fortunes of the WHR. The North Wales Narrow Gauge Railways (NWNGR) were conceived and engineered by Charles E Spooner (who was secretary and engineer of the Festiniog until 1887 and also owned a quarry at Bryngwyn). The company initially proposed a network of eight lines, serving areas as far spread as Betws-y-Coed, Pwllheli and Corwen, a total of some 60 miles. However, only two of these were ever built. The first line to be constructed ran from Dinas (three miles from Caernarfon) to Bryngwyn (just over 5 miles from Dinas). Construction began in 1873, but was not completed until 1877. 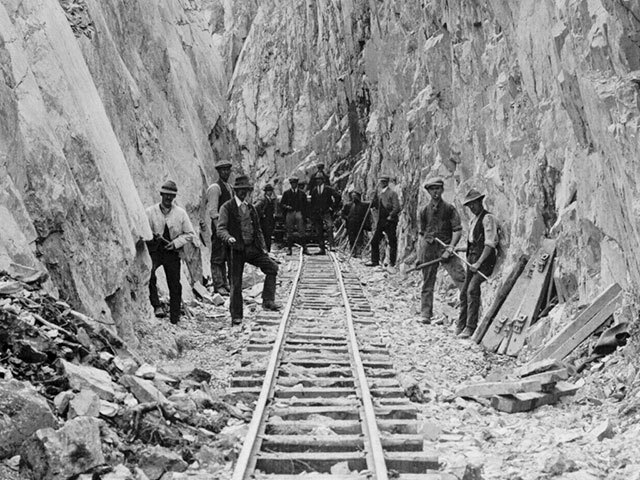 At the same time, the contractors continued on to Rhyd Ddu (the station called Snowdon originally) and the full line (officially two lines, linked at Tryfan Junction) opened in 1881, mostly serving the slate quarries at Bryngwyn and Glan yr afon. Goods transferred to the standard gauge line at Dinas Junction for the short trip to Caernarfon. It wasn't just slate and quarry workmen that the railway carried. The railway made the most of being the closest to the summit of Snowdon, so tourists were also encouraged by advertising the wonderful scenery and of access to paths up Snowdon. In 1901, the Portmadoc, Beddgelert & South Snowdon Railway (PBSSR) was promoted to take over the Croesor Tramway and extend it to Nant Gwynant via Beddgelert; an Act of Parliament authorised the takeover and construction of a hydro-electric power station in Nant Gwynant and electric railway operation. The 'South Snowdon' part of the title referred to the South Snowdon slate quarry, a possible source of traffic at the Beddgelert end of Nant Gwynant. In 1904 the power station was devolved to the North Wales Power & Traction Company; the power station was the only part of the 1901 enterprise completed and is still generating. Construction was started in the Aberglaslyn Pass in 1905. The NWNGR had obtained a Light Railway Order to extend to Beddgelert in 1900 and those powers were transferred to the PBSSR in 1906, leading to construction activities between South Snowdon and Beddgelert. As part of the agreement to take over the NWNGR powers, and to refurbish and electrify that line, the PBSSR ordered the Hunslet steam locomotive, Russell, to help keep the NWNGR going. However, money ran out and construction came to an end, leaving the tunnels in the Aberglaslyn Pass and other earthworks abandoned. The NWNGR and Croesor Tramway continued as before, with the NWNGR becoming increasingly run down. During the First World War its passenger service ended.